Create a list in the range \$[1,n]\$, and join it together to a string (i.e. \$n=13\$ would be the string 12345678910111213). Input is guaranteed to be a positive integer. For \$n=1\$ we simply output 1. Any amount of leading/trailing newlines/spaces are allowed, as long as it prints the correct triangle (without vertical nor horizontal delimiters!) somewhere on the screen. Returns a matrix of characters. Returns an array of lines. Saved 2 bytes thanks to Kevin. Anonymous code block that takes a number and returns a list of lines. Create a string by concatenating the numbers 1 to n.
Fill a triangle of that length with the string. Rotate the triangle anticlockwise by n*90 degrees. Reflect everything, thus ending up with a triangle that is rotated clockwise by n*90 degrees. 3 bytes saved by G B. A bit rough around the edges but works. Joins the digits 1 to n into a string then iterates from 0 to the length of that string-1. Each time, it uses list indexing to swap to the correct spacing method and number range used to slice our new string. Using the legacy verion as the rewrite is extremely slow on this for some reason. -4 bytes thanks Arnauld for the trick with Sort. Run with php -nF input from STDIN. -21 bytes by letting printf handle the padding. -2 bytes by doing substring before replace, allowing us to increment l in one location rather than two. -26 bytes - with printf doing the padding, the string full of spaces was no longer necessary, and the digit strings could be generated in a shorter way apparently. -12 bytes by not messing about with single digits instead of printing substrings of the perfectly servicable digit string we already have. // Collect a list of all digits in order. // Save the max length of a line, and create a string of that many spaces.
) // A string containing only the digit we want. Not the answer you're looking for? 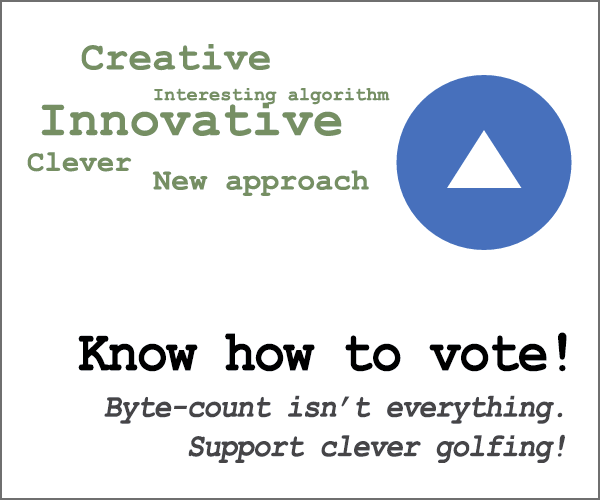 Browse other questions tagged code-golf ascii-art number integer or ask your own question. Does the triangle contain the origin?